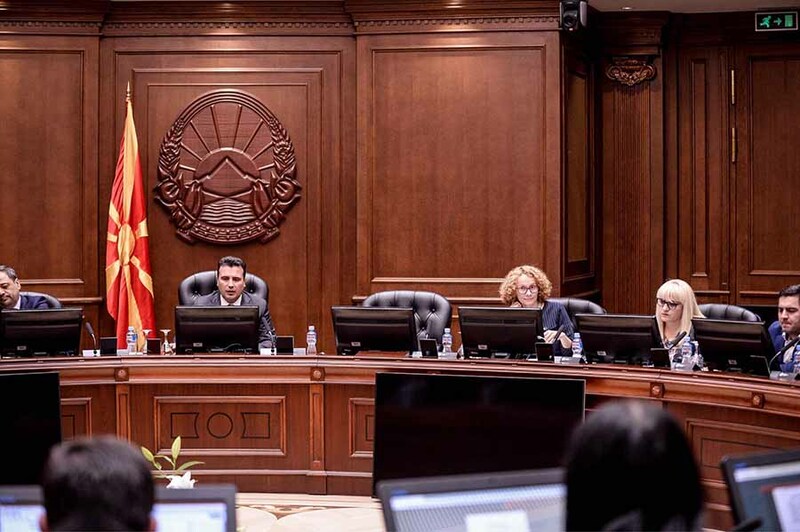 At Monday’s extraordinary session the government reviewed the proposal for amending the Constitution of the Republic of Macedonia and defined the text. It was afterward forwarded to the Parliament as confirmed by PS Talat Xhaferi. As Government spokesperson Mile Bosnjakovski informs the government proposes adding the adjective North in the name of Republic of Macedonia before the word Macedonia. It is also proposed that the Preamble of the Constitution is amended for alignment with the agreement reached with Greece and change of two articles. Government spokesperson Mile Bosnjakovski said the government also proposed amendments for more solid border guarantee in article 3 that was already amended in 1992. Moreover, Article 49 of the Constitution is to be amended about providing care for Macedonians and the diaspora which was also already amended in 1992.